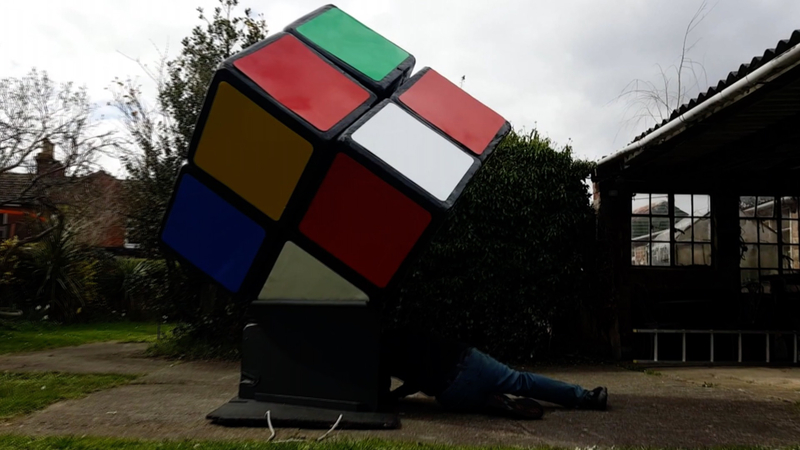 Lifelong puzzle fan, Tony Fisher created a giant Rubik's 2x2x2 Cube. Then he climbed into the very core of the puzzle and solved it. Fisher has created the world's largest Rubik's Cube and also the smallest one.